This is post #1 in a series of 13 covering persuasion at work. You can click the link to read the of the posts. I'll be adding more to this list over time—so if you're interested in this topic, subscribe to this blog. If I had the power to make one book required reading for every manager, it would be Influence: The Psychology of Persuasion, by Robert Cialdini. If I could make two books required reading, I would add Cialdini's Pre-Suasion: A Revolutionary Way to Influence and Persuade. Human psychology is influencing your workplace. As a manager, you have the power – and in some ways, the responsibility – to use human psychology to the benefit of your employees… To create a happier, healthier workplace, to encourage employees to support one another, and to help people reach their goals and be productive. I can't make you read Cialdini's books. What I can do is give you a high-level understanding of the seven principles of persuasion that I know – from personal experience – will transform your workplace. Read on to discover the seven ways you can influence your employees for their own benefit, using the power of persuasion and your company intranet. A sense of obligation is a powerful thing. When someone does something nice for us, a strong inner voice tells us we need to do something nice for them in return. Even the sincerest acts of kindness feel like debts to us until we return them. Franklin had a tense relationship with a man who had political pull in Philadelphia. He knew he needed to improve the relationship if he was going to succeed in Philly. So he sent a letter to the man, asking if he could borrow one of his rare books. The man agreed to lend Franklin the book. And from that point on, the man was much friendlier toward him. Psychologists have written about this story with all different kinds of theories. Some believe it triggered cognitive dissonance, which happens when our actions and beliefs contradict each other. 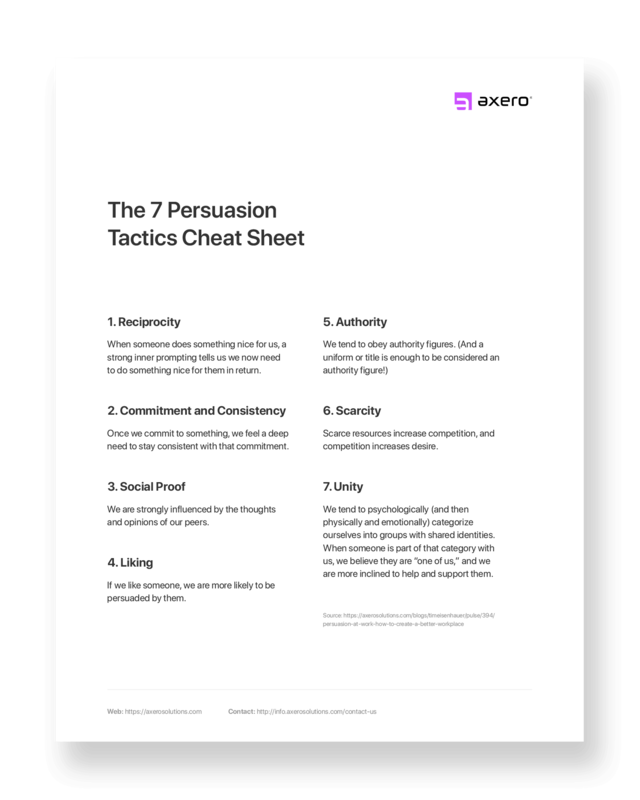 Sometimes, if the persuasion is powerful enough, we feel driven to reduce the inconsistency by altering our beliefs, attitudes and behaviors to match our actions. That makes sense in this case, kind of. Some believe the principle of commitment and consistency comes into play. When the man committed to lending Franklin his book, psychology kicked in once again and the man felt compelled to have an attitude that was consistent with his action. I agree with this hypothesis, and I'll talk more about that in the next section. I think the psychological principle reciprocity was involved as well. Remember, Franklin was a great thinker. He knew that asking the politician for this favor would make the man feel like Franklin owed him a favor – which changed the dynamics of the relationship. Even if the two men weren't best friends, there was now a sense of give-and-take in the relationship that wasn't there before. There are so many not-so-positive examples of how people put this principle to work. And you can decide on your own whether you think these are good or bad… But when members of the Hare Krishna religious sect hand out flowers, it prompts passersby's to stop and listen to what they have to say. When a salesperson gives you a free sample, you're more likely to buy a product from them. When someone does you a favor, you end up feeling like you owe them – even if it is a small favor, and even if you don't particularly like that person. There are lots of positive ways you can use reciprocity, too. Getting employees more engaged with a system of rewards is one of them. And I've written at length about creating systems of rewards, including gamification, point systems and badges. You can read more about that here. To trigger reciprocity, reward your employees frequently and randomly. Reward the behavior you want to encourage, without letting your employee know you're about to do it. Surprise them with a gift certificate. Nominate them for an award. Call out their positive actions in your next employee meeting. Doing something nice for an employee in this way will trigger that sense of reciprocity. And what better way to reciprocate a reward than to reward the behavior that earned in the first place? Read this article to learn more about using the persuasion principle of Reciprocity at work. Once we commit to something – especially publicly, like when we verbalize it to someone else, or post in on social media – we feel a deep need to stay consistent with that commitment. This is the essence of the principle of commitment and consistency. It's powerful because it shows up in so many ways. It's why posting on Facebook about starting a diet makes you more likely to stick with that diet. It's why even small commitments can change the way we see ourselves, and the way we want the world to see us. So when your buddy asks if you use reusable cloth grocery bags, and you lie to him and say yes because you know he's big on saving the environment, you're more likely to start using reusable cloth grocery bags. And once you start using those reusable cloth grocery bags, you start thinking of yourself as big on saving the environment. It's also why, once we've decided something, we ignore all evidence that contradicts that decision. Prior to the 2016 presidential election, you'd never be able to sway a Hillary Clinton supporter to become a Donald Trump supporter – and vice versa. This principle is why. What's interesting is that the commitment has to be an inner choice in order for it to work. You can't command someone to commit to something. And what's interesting is that the more effort it takes to commit to something, the deeper the commitment becomes. That's why fraternity hazing works so well – the more a pledge has to do to join the fraternity, the more deep he's committed to that brotherhood. As I mentioned in the previous section, I believe that Benjamin Franklin triggered the principle of commitment and consistency when he asked to borrow a book. When the man committed to lending his book, this psychological principle kicked in and the man changed his attitude to stay consistent with his action. Once you understand this principle, you'll see it in action everywhere in your life. And, like the principle of reciprocity, you can see how it would be easy to misuse this knowledge. But there are some positive ways of using this principle, too. Especially in your workplace. "I, [fill in your name here], will use the intranet for everything I can. When I don't know how to use the intranet for something, I will ask for help." Have everyone sign the agreement. This might seem like an elementary school move, but it works. I've seen it work. Your employees have now made a commitment and they're much more likely to stay consistent with it. Second, create volunteer groups to support your company's social responsibility initiatives. When your employees get together to volunteer or raise money for charity, it brings them together. That's a huge benefit right there. But there are more benefits to this than you might realize. It changes the way your employees view themselves within the context of their roles at work. Committing to an activity that makes a social or environmental impact helps your employees see themselves as activists. 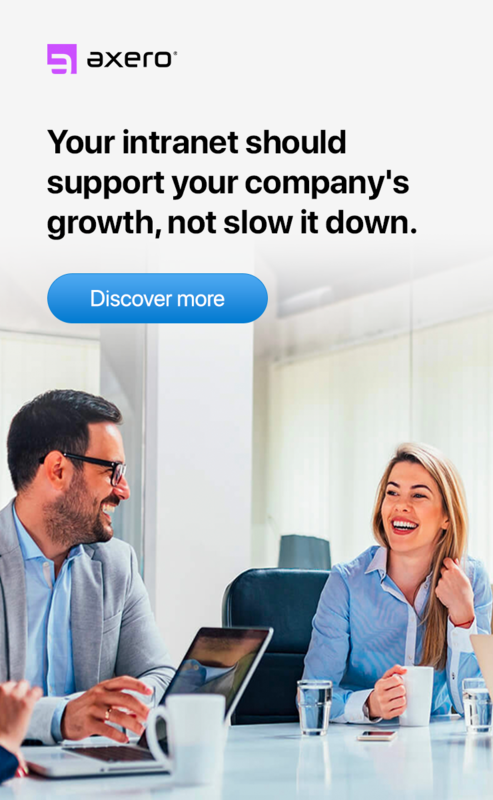 Because this activity is company or organization-sponsored and led, they see your company or organization as supporting who they are as people. Third, encourage your employees to use affirmations. This might sound really woo-woo to you, but again, it works. Help your employees write work-related affirmations. Scott Adams, famous cartoonist and creator of the Dilbert Comic Strip, explains it better than anyone in this podcast. If you don't have time to listen to that, here how it works. For example, "I, Tim Eisenhauer, will beat my quota in Q4," or "I, Tim Eisenhauer, will earn a promotion by the end of this year." Have them write it down 15 times each day. These affirmations should feel good on a personal level. Have your employees agree to repeat their affirmations several times a day. I guarantee you'll start seeing positive behavior shifts. Read this article to learn more about using the persuasion principle of Commitment and Consistence at work. Humans are influenced by our peers. The opinions of our friends, family and passing acquaintances sway us so much more than even the best advertising campaign. It's why testimonials and case studies are so powerful in the sales process. We don't care that the company says this widget will save you 10 hours of work a week. But if Jim, your tennis partner, tells you that, well, that's a different story. He wouldn't lie to you. He has no stake in whether or not you buy the widget. The principle of social proof comes into play even stronger when there's an element of uncertainty. In an emergency situation, we look at the people around us for cues as to what to do. If no one else is panicking, you tell yourself everything is okay … even when it's not. If you've ever taken a CPR class, you'll see exactly how this works. Your CPR instructor tells you to point to a specific person and tell them to call 911 before you begin CPR. Why point to a specific person? Because if you don't, if you just shout, "Someone call 911! ", everyone will stand around looking at each other, waiting to see if they need to do something. You can short-circuit that reaction by "assigning" people roles during an emergency. Or think about when you're at the grocery store and you see a long line at the register. You follow the crowd and get in line. Then you get closer to the register and see that there were actually TWO lines. One or two people decided to stand in the middle rather than to one side or the other, and everyone that came up behind them followed suit. So how do you put this to work for the good of your employees? Social proof is a great way to get your employees to use the intranet more – which in turn empowers them and makes them more engaged in the workplace. 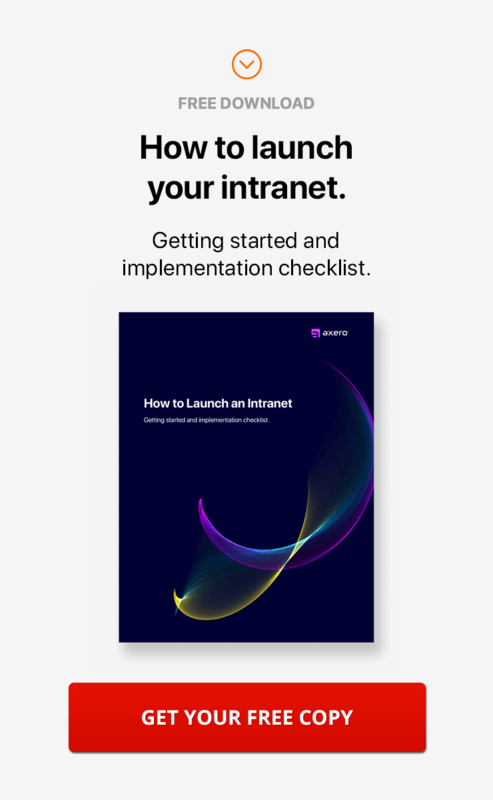 Start using the intranet more yourself. Get the other managers and team leaders to use it, too. Get the CEO to use it. Your employees will follow your example. This works the opposite way too, so watch out. If management is NOT using the intranet, employees won't either. Walk the talk for the best results. Read this article to learn more about using the persuasion principle of Social Proof at work. If we like someone, we are more likely to be persuaded by them. Plain and simple. There are a lot of ways this principle plays out in our lives. We have a positive psychological reaction when someone compliments us. The principle of liking is why the good cop / bad cop routine works so well. We also tend to associate physical attractiveness with someone or something being good. The success of auto advertisements featuring models draped over the hood of the car is an example. The model is pretty, so the car must be desirable. Where I see this working in the workplace, is with the liking concept of similarity. To put it simply, we like people who are similar to us. 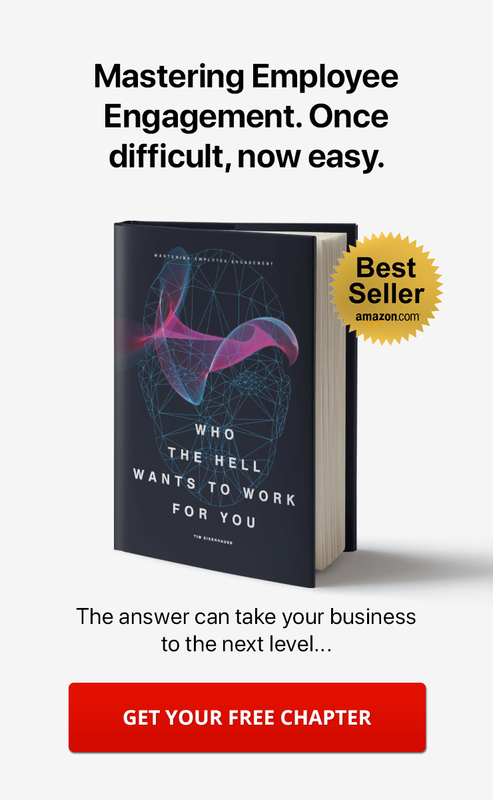 Knowing that, it's easy to see how helping your employees get to know one another, and get to know other people within the company (management included), can benefit the organization. When employees find they have similarities with their teammates, colleagues and peers, they like each other more. And usually they work better together. This is a strong case for having your employees flesh out their intranet profiles. Encourage them to share their interests, activities and goals on their profiles. Reward them for filling out their profiles if you need to. The more information your employees have about each other, the more common ground they'll find. Read this article to learn more about using the persuasion principle of Liking at work. We tend to obey authority figures. This principle is so ingrained in us, you might not even realize it's psychology at work. After all, why wouldn't you obey your boss? Or a police officer? What if your boss or that police officer was doing something illegal? Would you still obey them? The principle of authority – and all evidence – says yes. So what makes an authority? Cialdini says a uniform or a title is often all it takes. Humans blindly follow anyone in a uniform (and yes, a suit and tie counts! ), or with an impressive title. We see the principle of authority working in marketing, too. When a person or company offers valuable information, they build authority, and people are more likely to follow the suggestions of that person or company. Think about your favorite all-purpose household cleaner. Now go to the company's website. Likely, they'll have dozens of resources on cleaning your house, keeping germs at bay, or unusual uses for their product. You probably think they're the authority in home cleanliness, right? So when they launch a new product they say cleans toilets better and faster than anything else on the market, you believe them. You probably even buy that product the next time you need to restock your toilet cleaner supply. In the workplace, the principle of authority can help with employee morale – especially during times of change. Top executives and leaders should have a blog or some other method of sharing information on the company intranet. They should be posting about what's happening, what's new, the direction of the company, even what they're thinking. This will help them be an authority worth trusting – not just an authority employees follow because they wear a suit and tie. This also turns the intranet itself into an authority. Employees know they can go there to get details when they catch wind of something changing within the company. It gives you an opportunity to proactively address change before employees start questioning things – preempting a dip in employee morale. Read this article to learn more about using the persuasion principle of Authority at work. You might not think scarcity has much to do with employee engagement or intranet usage, but stay with me. You're going to be amazed at the results you get when you apply this principle. In the wild, scarce resources increase competition, and that competition increases desire. This causes feeding frenzies, like what you see on the Discovery Channel during Shark Week. In the marketplace, low availability causes high demand. Remember around 15 years ago when ephedrine was deemed dangerous and taken off the market? People were selling bottles of ephedrine-packed supplements for outrageous amounts. I'm sure the speakeasies of the Prohibition era charged an arm and a leg for booze, too. Scarcity is a powerful psychological force. We want what we can't have – and we're willing to go to lengths to get it. In the workplace, you can put this principle to use in getting your employees to use the intranet. And in using the intranet to answer their own questions and locate their own resources, employees become more empowered and more engaged. Tell HR to put everything up on the intranet – benefits brochures, handbooks, policies, procedures, contact lists. Everything. Anything that employees typically go to HR for, put it on the intranet. Then, take all that material down from everywhere else. Remove it from cloud drives. Pull all the hard copies off the shelves and out of file drawers. Tell HR they are not allowed to even email these assets to employees. If an employee asks for information, they are to be directed to the company intranet. The intranet should now be the one and only place employees can get critical information about their jobs. This is by far the most effective way I've found to get employees using the intranet. Read this article to learn more about using the persuasion principle of Scarcity at work. Cialdini's newest principle of persuasion, introduced in his book Pre-suasion, is unity. The principle of unity takes the principle of liking to a whole new level. With liking, we say, "He is like us." With unity, we say, "He is one of us." In the principle of unity, we psychologically (and then physically and emotionally) categorize ourselves into groups with shared identities. Race, nationality, family, politics and religion are all categories of unity. When we are a member of a group where we feel a shared identity, our empathy grows. When other members of our group hurt, we hurt. One member influences another. We are at one. With the principle of unity at play, we forget that other human beings are different from us. We assume everyone in our group thinks like us and will act like us. Sometimes that is a good thing – it promotes trust and peace. But sometimes it's a bad thing, because people in our group may act against what we believe, and it creates confusion in our own identity and worldview. Think about the religious or spiritual group you're a part of. You feel safe and loved when you are with your fellow members. But what if your fellow members did something terrible? What if they hurt people? Wouldn't that scramble your sense of identity? Let's spin that around, too. Think once again about the religious or spiritual group you are a part of. If one of the members of that group had a need – even a small need, like needing a bag of groceries but not being able to pay for them – you would rush to the rescue without hesitation. You would go 10 miles out of your way to go buy that person a bag of groceries and deliver it to their house. You wouldn't bat an eyelash over it. Of course, in a family situation, there is a strong genetic component to unity. Cialdini's research shows that people are more likely to help someone who has a blood tie to them. We're more likely to donate an organ to a family member, or pull a family member out of a wrecked and burning car. Because the principle of unity applies even when there is no genetic tie, you can put it to use in the workplace to great effect. The intranet itself is a unifying force in your workplace. It brings people together like few other things do. The ability to create groups (or spaces, as we call them in Communifire) for your employees on the intranet makes the unity principle work even better. Read this article to learn more about using the persuasion principle of Unity at work. Encourage your employees to create groups for their shared interests. Think book club, ski club, volunteer groups, the group of people who go to the bar together every Friday night, work teams, project teams, knitting circles, Toastmaster teams … the list of possibilities is endless. Your employees will begin to feel a shared identity with others in their groups, which will in turn make them more supportive of one another. You now have an understanding of how to put Cialdini's seven principles of persuasion to work in the workplace, for the good of your employees and the good of your company. But I don't expect you to remember all of these tactics! I've created a quick cheat-sheet for you. Print it out for personal use, or make copies to give to your fellow managers. No matter what, remember that human psychology is at work with your employees whether you're working with it or not. Persuasion is not manipulation if you have the right frame of mind. Use persuasion for the benefit of your employees and you'll experience a happier, healthier team.